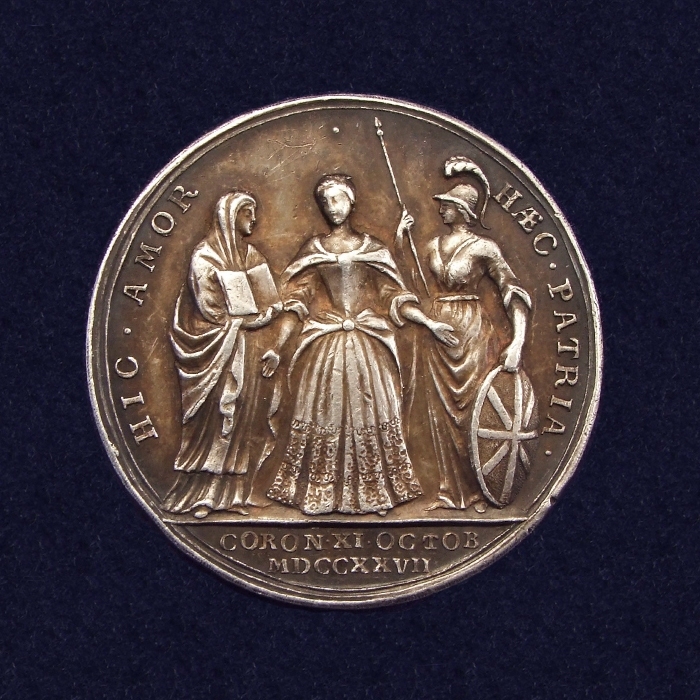 Coronation of Queen Caroline, 1727, official silver medal by J. Croker. 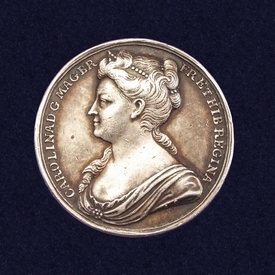 Obverse: Draped bust of Caroline left, wearing a bandeau, J.C. on truncation of arm. Legend: CAROLINA DG MAG BR FR ET HIB REGINA. 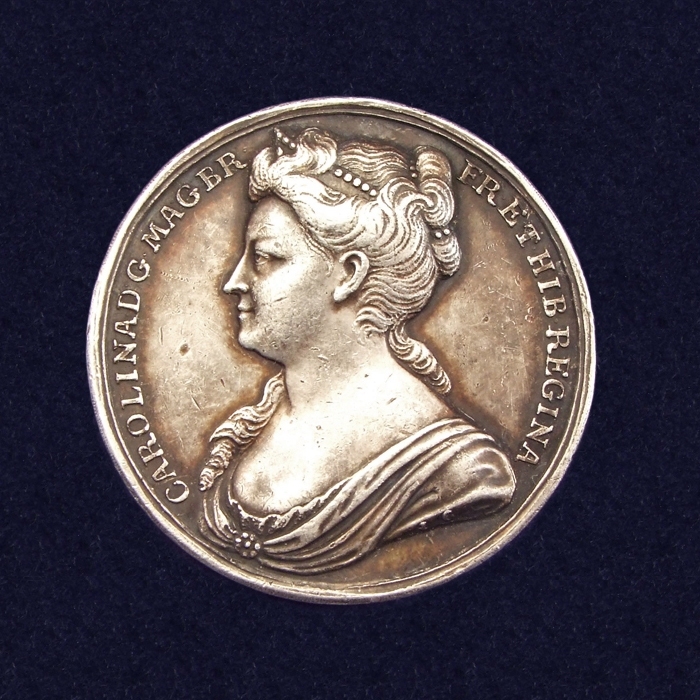 Reverse: Caroline standing facing between Religion left and Britannia right.